For generations, Maine has owned a worldwide reputation for the skills of its shipbuilders and sea captains, and for leadership in every aspect of maritime affairs. It was in Maine that the first English ship built in America, the Virginia, was launched in 1607 and Mainers continue to build and sail vessels ranging from custom yachts to warships. Windjammers, fishing fleets, and America’s Cup defenders have all been part of Maine’s seafaring tradition. An institution devoted to nautical training in Maine was first proposed in the 1930s. 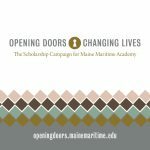 Educational and civic leaders throughout the state—led by Senator Ralph Leavitt of Portland—prompted the creation of Maine Maritime Academy by an act of the 90th Maine Legislature on March 21, 1941. The original class of 29 students reported on October 9 of that year to Rear Admiral Douglas Dismukes, USN, a veteran of World War I who came out of retirement to head the fledgling school. Classes met on the campus of the Eastern State Normal School and students were lodged at Castine’s Pentagöet Inn. The Mattie, a schooner out of Camden, Maine, served as the first training ship. World War II required a rapid build-up of the U.S. Merchant Marine, with a critical need for trained deck and engineering officers. The Academy met that challenge, graduating its first class in 1943 and producing more than 300 officers who served at sea during the war. Three gave their lives in service to the nation, and many others were wounded in action. In the post-war era, the program expanded from the original concept to a three-year course of study, and in 1960, to a four-year, Bachelor of Science degree program. 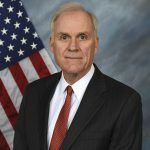 In the 1960s and 70s, Rear Admiral Edward Rodgers, USMS, led a multi-million dollar development program culminating in full membership in the New England Association of Schools and Colleges. The Academy now offers two undergraduate degrees and twenty-two academic courses of study in four maritime-related fields: engineering; international business and logistics; marine sciences; and marine transportation. The Graduate Studies program offers Master of Science degrees in global logistics and maritime management, international logistics management, and master’s & commander. Many Academy students prepare for careers as officers in the U.S. Merchant Marine and the U.S. armed forces. Some earn degrees in association with Bath Iron Works, in Bath, Maine or The Landing School in Arundel, Maine. The college is consistently ranked by US News and World Report as one of the top undergraduate engineering schools in the nation. In 2014 and 2015 Money Magazine ranked Maine Maritime Academy the #1 Public College in the U.S. The year 2016 marked the 75th anniversary of the founding of Maine Maritime Academy. Learn more here.